The two of them stood side by side, steaming drinks in hand, as they pondered the choice before them. "I'm not so sure," the Younger finally admitted. "It's the end of March, it's technically spring, and the sun is shining..." his voiced trailed off as he gazed out the front window of the Cafe. "It's too soon," the Elder finished, shrugging his shoulders. "Sitting outside on the patio, much as I would prefer it, will just have to wait for a warm sunny day." 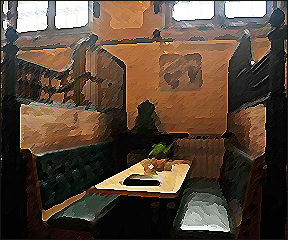 With one unintentionally choreographed motion, they resolutely turned their backs from the view of the outdoor patio, and retreated to the welcome embrace of a booth adjacent to the rear fire exit. "Now, what were we talking about in the lineup for our coffees?" mused the Elder, as he hung his rain coat on a hook beside the booth, the Younger mirroring his action with his jean-jacket-and-hoodie ensemble. "I was just commenting on the 'chicken & egg' argument that some of my friends and I have been having," the Younger reminded him as they slid into the booth. "Debating how much belief shapes behavior, versus behavior shaping belief." The Elder chuckled as he wrapped his hands around the warm ceramic of his coffee mug. "Behavior shaping belief -- ah yes, I remember how we used to accuse some people of allowing their experiences to shape their beliefs more than the Bible." The Younger took an appreciative sip of his latte, peering over the rim of the bowl at the Elder. "Okay, I get how that's a problem, but at the same time, you've got to admit: there are times where our behavior definitely does influence our belief. " "Do they now," countered the Elder, with a mischievous twinkle in his eye, "or does the behavior rather result from practicing the belief?" The Younger leaned forward on the wooden table, unconsciously frowning in his concentration. "Okay, here's an example: in charismatic churches, whenever worship or prayer is happening, people raise their hands to bless God or at least hold them palm-up-and-out in order to 'receive'. It's mostly a learned behavior -- and so it's neither good or bad -- but it's become so automatic that some people believe it's necessary." 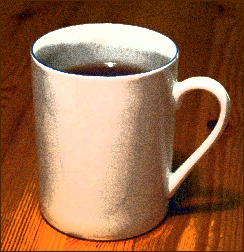 The Elder nodded as he placed his empty mug on the table, sliding it to his right (out of reach of his oft-animated gestures). "Yes, but I would still go back to my original statement. Their behavior might reinforce their belief -- and knowingly or unknowingly result in a kind of performance-based approach to worship and prayer -- but I would argue that their belief undergirds both their actions, and their expectations of how these actions 'work' in spiritual reality." Reaching for a napkin, the Elder took out his pen and began writing. "It would look like this," he suggested. a performance based assumption that unless (A) happens -- raising hands -- then (B) cannot -- receiving." The Younger looked at the list -- upside down from his vantage point -- before conceding the point. "So, what you're saying is that our behaviors that appear to be shaping our beliefs, are actually rooted in even deeper-held beliefs." "Exactly," agreed the Elder, clicking his pen shut for emphasis. 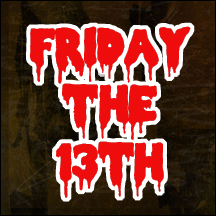 "Now, as your example pointed out, we can and do tend to create almost a superstitious mindset even out of reasonable beliefs. We can believe that God wants to bless and to answer prayer, and opening our hands is certainly a reasonable bit of body language. But if we begin to think -- or instruct others to think -- that the person with open hands is more likely to 'receive' than the equally faith-filled person beside them with his/her hands in their pockets, then we're getting into trouble." The Younger sat straighter in his seat as another thought occurred to him. "Okay, so then instead of saying 'behavior shapes belief', we could say that while belief shapes behavior, we can easily turn that behavior into a superstition (can we say that about Christians?) that to some degree twists our beliefs?" "Into idolatry, you mean?" asked the Elder softly. Noting the Younger's sudden silence, he laughed out loud. "That's a stronger word than 'superstition', isn't it? But ultimately, it's an error in belief that can lead to superstitious or even idolatrous assumptions of how God works among His people. So, the question that needs an even closer look is: does my behavior reflect beliefs that are rooted in the Bible, or not?" "Okay, okay," protested the Younger, as he rose to his feet. "I think I get it. And now if you'll excuse me, I believe I'll get another cup of coffee. Would you like me to get you one as well?" The Elder nodded with a smile. "Thank you; I will wait with open hands to receive it." The Younger walked away, shaking his head and reaching for his wallet. That line hit like a slap in the face. What? Who is this heartless and heavy-handed Job’s counselor? Instead of offering a cup of cold water in the name of the Lord, it felt like the writer was throwing the water into your face. Clearly, he’d never experienced burnout himself… Oh wait, as I scrolled through his personal bio, it appears that, yes he did. That’s why he’s writing about it now. Still, that opening line just didn’t sit well with me. Burnout in ministry is not a new phenomenon. We hear alarming statistics about pastors and leaders burning out and leaving the ministry, as well as stories of marriages failing (which typically leads to instant ministerial unemployment). Rebellious and bitter “ministry orphans” are another symptom of the typically over-committed leader who will eventually crash and burn. For most, burnout includes health crises, emotional emptiness, and spiritual barrenness. 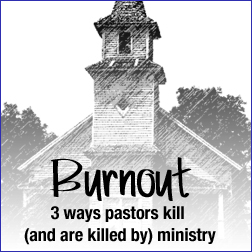 Among the many causes for ministry burnout, there are three kinds of pastors that risk burning out, and also have a tendency to burn out other capable leaders around them. These are the classic types that people usually associate with ministry burnout. They care deeply about people, and truly desire to see discipleship and spiritual growth in those they are leading. Doesn’t have good boundaries for work, family, and self-care. Just can’t say “no” to the needs of the congregation. Can’t remember the last time they tucked their kids in at night. Worst fear: Other leaders sharing the load and diminishing their Messianic role. They approach ministry as if everything will fall apart without their constant involvement and oversight. They need to be needed. In essence, they have created a co-dependent relationship between themselves and “the ministry”. The classic entrepreneurial church-planting type. Strong leadership personality, holder of the vision, Type A personality, charismatic and gifted in rallying people around a cause. This type of leader tends to be driven, and hard-driving. In the common tongue, a “workaholic”. Didn’t realize/forgot that tucking their kids in at night was something ‘normal’ people do. Worst fear: Not achieving stated visionary goals and/or not being seen as “successful”. The smart ones recognize that they aren’t as “pastoral” in their gift-mix, so they hire associates to handle the care-giving aspects. But their example (workaholic) sets the pace for every other associate pastor and ministry leader as well. Type A leaders tend to be able to keep the pace they’ve set, but pastoral associates aren’t typically as driven, and burn out under the pressure and demands of the Driven Visionary. DV’s cause others to burn out long before they do. But even Driven Visionaries eventually crack under their self-imposed pressure (usually health or marriage crisis). Dependable team-player type. Loves and is loyal to a fault to the leaders above him/her. Will go to the wall for fellow staff and leaders. Makes a great associate pastor or ministry leader. Like the Co-Dependent Messiah, has a hard time saying “no” (more out of loyalty to senior leaders than a Messiah complex). Worst fear: Being accused of laziness or not being committed enough (“you’re doing this for Jesus, after all”). Dark side: tends to never question if the pace and demands of ministry are realistic or not, until it’s too late. Enthusiastically agrees that “healthy life balance” is a priority for all Christians, but begins to notice that none of the church staff actually has a healthy balance (dissonance of values with reality). Not wanting to work flipping burgers when he/she has a Masters in Christian Ministry, the Loyal Martyr will continue to serve and self-console with “doing this for Jesus” even if nobody else fully appreciates their hard work. If these three all end up serving at the same ministry location, it's a toxic brew that will leave its mark on the whole church, usually in the form of a revolving door in ministry: bright-eyed and bushy-tailed new leaders on their way in to replace the limping-and-disillusioned casualties on their way out. How many hours do you work in a typical week? How many hours does your spouse think you work in a typical week? When was the last time you tucked your kids in at bedtime? How often does this happen each week? What does "healthy life balance" actually look like? If it's not measurable, you'll never do it. Ask your spouse and kids for input. Who holds you accountable to maintain that "healthy life balance"? Are you giving them the whole picture? Are you developing more leaders, and more important, are you letting them lead without looking over their shoulder all the time (micromanaging)? Do you feel supported in ministry by other staff, lay leaders (elders/board)? How you given them the opportunity to support you? Do you have friends outside of the church? If so, do you have time to spend with them? Do you feel guilty spending time with people if it's not "ministry-related"? Has there been steady turnover in the staff working under your leadership? How long has the average tenure of an associate pastor been in the last five years? Did they leave under a cloud of crisis? 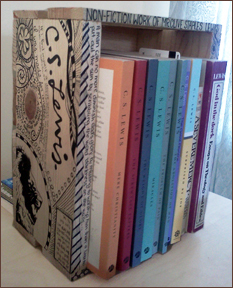 This past Christmas included a theme-based gift from various members of my family: my own mini-library of C.S. Lewis books! And since the beginning of 2014 I've been re-reading some Lewis classics (Mere Christianity, Screwtape Letters), and discovering gems in books that I hadn't read previously. A treasure trove, to be sure. "Their skepticism about values is on the surface: it is for use on other people's values; about the values current in their own set they are not nearly skeptical enough. A great many of those who 'debunk' traditional or (as they would say) 'sentimental' values, have in the background values of their own which they believe to be immune from the debunking process. They claim to be cutting away the parasitic growth of emotion, religious sanction, and inherited taboos, in order that the 'real' or 'basic' values may emerge." This tendency is one I've seen play out in numerous kinds of settings, whether political, social, or spiritual. Maybe especially among the spiritual. Those who want to introduce new, speculative, and possibly unbiblical teachings first invest a great deal of energy in "debunking" anyone who might stand in their way. 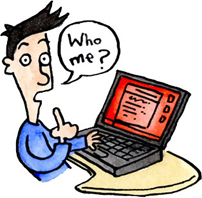 I've often seen the tools weapons of mockery, name-calling, and other bullying methods used to caricature, belittle, and humiliate their perceived opponents. They are convinced that everyone else has an agenda, but not them. They have risen above such things. They are here to educate the dullards (that's a kind of oldskewl British word that Lewis might have used -- see how influence works? ), and to liberate those oppressed by the rigid gatekeepers of orthodoxy. It's a good reminder to everyone that humility is a trait that we all need to pursue. If God gives grace to the humble (James 4:6) -- and we could all use more grace in our lives -- then let's take that seriously and seek God for greater humility in our hearts, minds, words, and attitudes. "Coming in the opposite spirit", as some have said. It's also a sobering warning: anyone who seems bent on 'debunking' orthodox theology does not do so in a pristine intellectual vacuum. There is always an agenda. 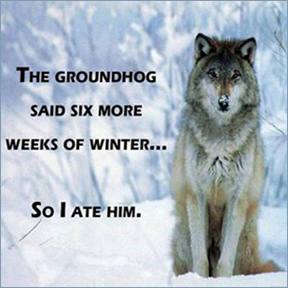 Agendas are not always and necessarily bad. You could call the Great Commission an 'agenda': "Therefore go and make disciples of all nations, baptizing them in the name of the Father and of the Son and of the Holy Spirit, and teaching them to obey everything I have commanded you" (Matthew 28:18-20). In humility, we all need to recognize that we all have agendas. That's not a bad thing to admit. It's more dangerous to not recognize or admit it. We need to approach the Scriptures and theology with humility. But as the above quote from C.S. Lewis reminds us, don't be fooled into thinking that those who are attempting to "debunk" orthodox Christianity in the 21st century don't have an agenda of their own. Once upon a time, Canada was in an existential funk, pondering endlessly about her national identity. Compounding the problem was the imminent arrival of the 2014 Winter Olympics, and the pressure Canada was getting from all of her sport-endowed people. Suddenly, in a burst of revelatory inspiration, Canada had her "eureka!" moment. She decided to embrace, proudly and defiantly, that season which Canadians are by far the most familiar with: winter. And thus was the spirit of #wearewinter invoked by an unsuspecting nation. The temperatures were colder, the cold lasted longer, and Canadians nation-wide tried to yell "Uncle!". 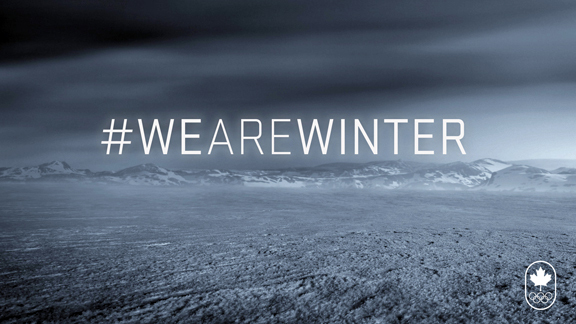 But #wearewinter plugged its ears and pretended not to hear. In a rare show of sportsmanship, even the local wolves pitched in and did what they could to ease the suffering of the Canadian people. 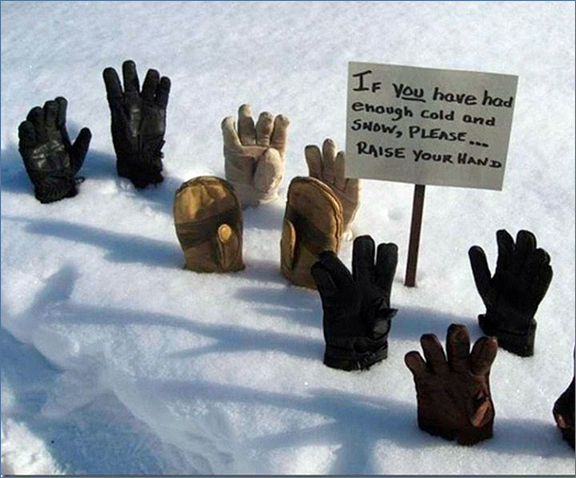 But #wearewinter said (in a weather sort of way): "talk to the hand". 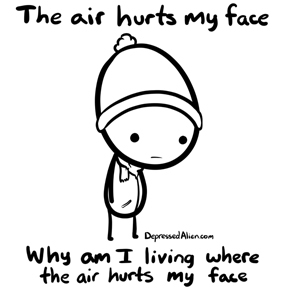 As the frigid torment dragged on and on and on, Canadians began to ask themselves that age-old existential question: "Why am I here?" Laughing its cruel and frosty laugh, #wearewinter responded by pummeling Canadians even more harshly and heartlessly than before. Fearing for their sanity and their frost-bitten extremities, some Canadians attempted to flee to Vancouver, if only for a weekend of respite. 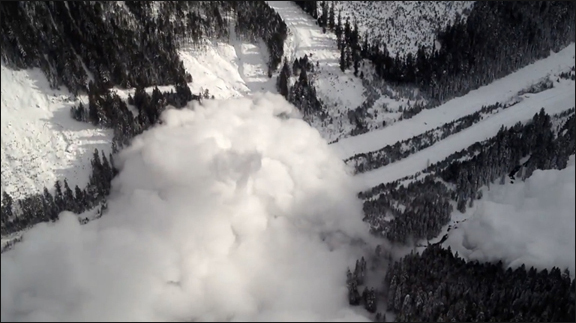 But the ever-vigilant and vindictive #wearewinter promptly buried the Coquihalla Highway under an avalanche, cutting off their escape route. It was only when the Canadians triumphed and won the Gold Medal in Curling (men's & women's), and the coveted Gold Medal in Hockey (men's & women's) that the ice-cold malevolent power of #wearewinter was finally broken, whereupon Canadians coast-to-coast dealt the frosty and capricious entity its death blow. Repeatedly and with gleeful abandon. Thus was Canada made free once more, to embrace with open arms the coming season of pulling dandelions in the scorching sun, staggering in heat exhaustion while mowing the lawn, and enduring endless traffic jams in sweltering cars with dysfunctional A/C. 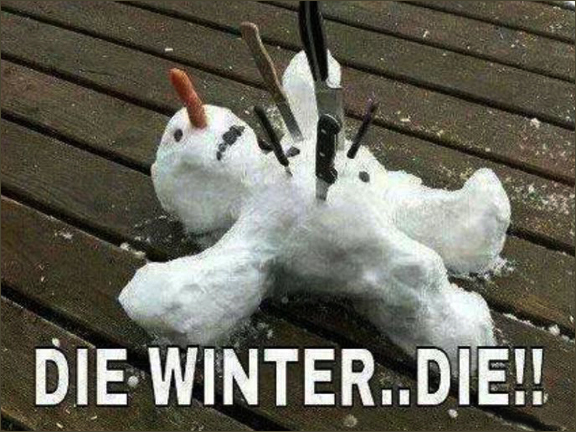 And then, they will naively utter the fateful words, "Can't wait for winter, eh?"